Liverpool’s expanded Main Stand will officially open in just 13 days and there are still some fantastic opportunities to join Anfield’s matchday team. The club kicked off its biggest ever seasonal recruitment drive earlier this year in preparation for the 8,500 additional fans that will support Jürgen Klopp's charges when the Reds host Leicester City on Saturday September 10. More than 1,000 new recruits will help deliver the matchday operation, as the overall capacity is increased to around 54,000 along with the opening of one of the largest all-seater single stands in European football and state-of-the-art fan concourse and hospitality facilities. A wide range of casual opportunities are still available for the 2016-17 season across the club’s matchday kitchen, catering and hospitality teams that will operate from the 20,500 seater stand. New premium catering facilities have transformed the Main Stand’s matchday food offer and increased openings for chefs at all levels and kitchen runners, so if this role whets your appetite then please don't hesitate and apply now. 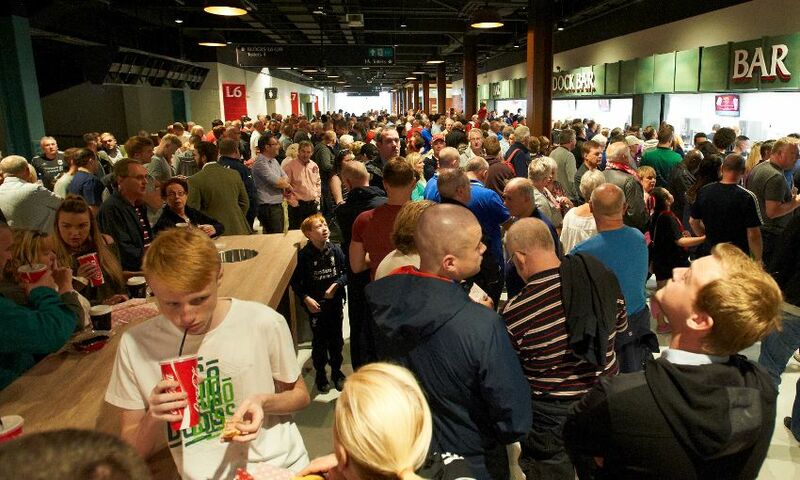 Food is set to become an important part of the Main Stand experience, with fans able to look forward to an improved offering which includes Anfield’s very own take on street food. To view seasonal opportunities at Anfield and to apply, please visit www.jobsatlfc.com. For more information on the available roles, call Liverpool FC 2016-17 recruitment on 0151 264 2003.